I am very thankful to have been invited to such an amazing event! 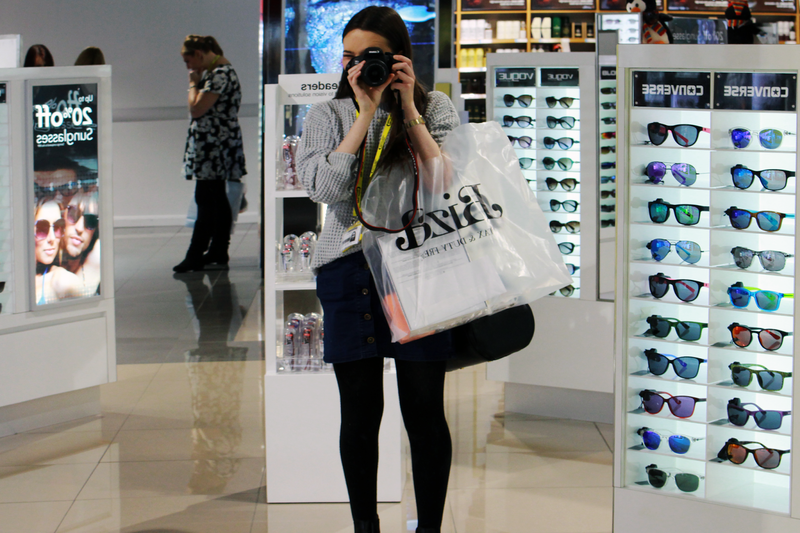 When I arrived at Manchester Airport I met Caroline, Vicki and the other bloggers. 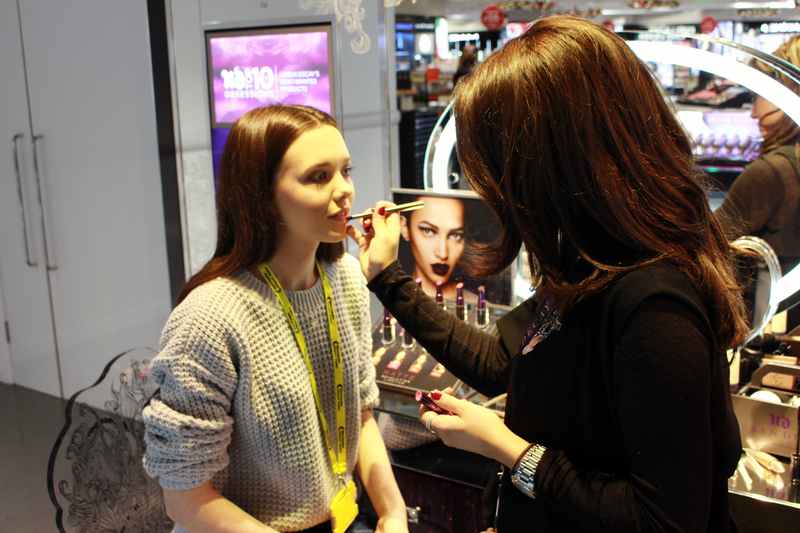 We were taken behind the scenes of the airport to get to the Biza Shop even though we were not travelling abroad. Once there we had the whole shop to our selves, greeted with some delight-able nibbles, chocolate treats and sips of baileys (It was orange juice for me). Following this we began the #FillYourBasket challenge, where we were given £250 of gift vouchers to spend in the store on Christmas pressies and the first person to the checkout would win even more goodies! I shopped till I dropped with help from the staff at Biza, who basically know all there is to know about every product and brand in store. I got my Mum, Dad, younger brother and myself some little bits which I can't wait to show you in my Blogmas Day 5 post so look out for that! It was kind of overwhelming being able to choose anything I wanted, I feel extremely lucky and grateful to have had this opportunity, I looked for all the brands that I knew my family loved! 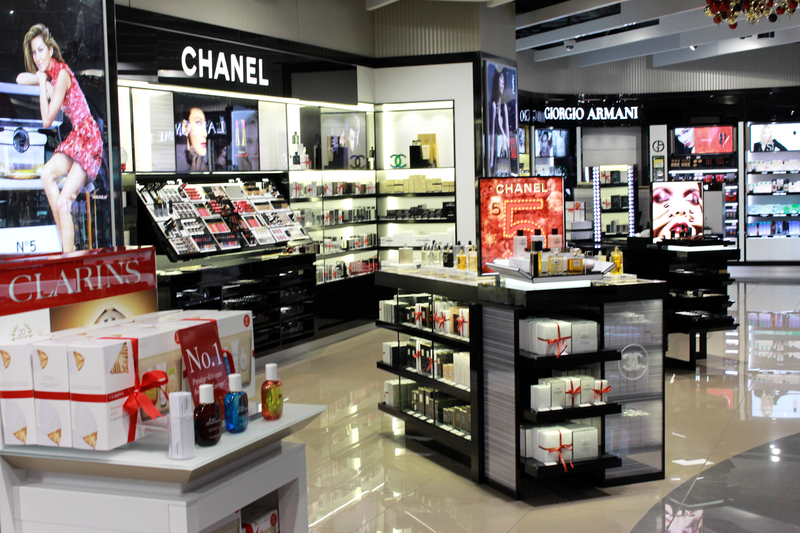 I also discovered the great shopping exclusives Duty Free offer such as Armani Beauty *heart eye emoji* and gift sets like the Benefit Party To The Peepers Kit, L'occitance Verbena Bauble, Estee Lauder Square Twist and much much more.You can plan all your shopping at World Duty Free and decide what you want before you go. Honestly, there is so much to choose from, I didn't know where to start! 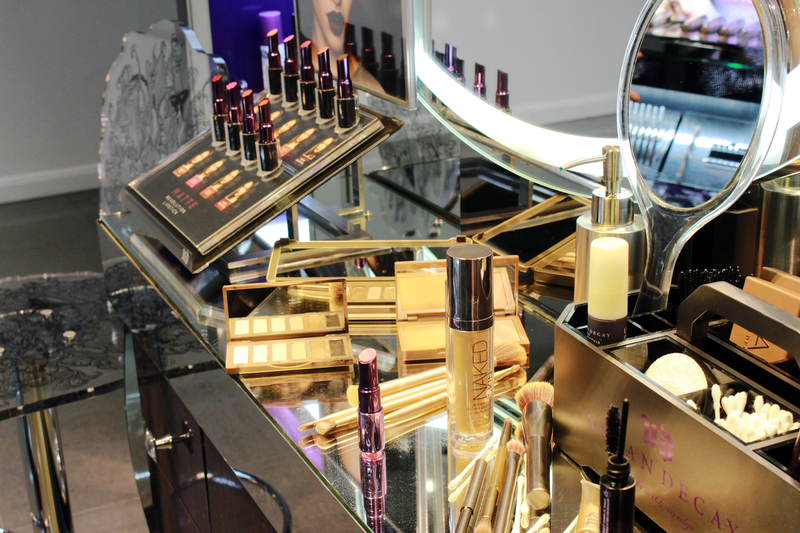 After shopping for 30 minutes and rushing to find the perfect treats, I got to relax and get my makeup done at the Urban Decay beauty counter! 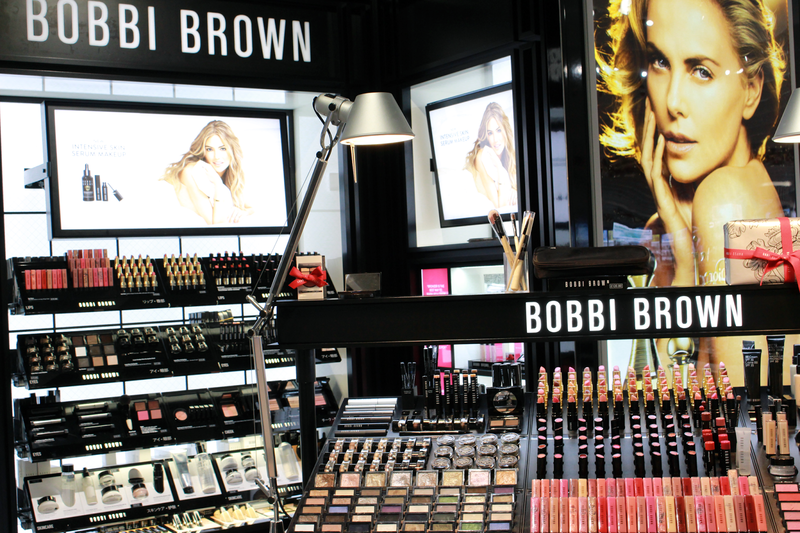 This is a brand that I absolutely love and so many of their products have been added to my Christmas wish list! My finished makeup looked beautiful, I really didn't want to take it off. There was also the opportunity to get a relaxing hand massage at Jo Malone (they have the most gorgeous scents ever) and the chance to get your hair vamped at GHD. All of these services are available to you when you're waiting in the airport, It's the most perfect way to start your journey I would say. I can't wait give my gifts to family and try out the products my self, look out for my blogmas day 6!